The west coast of the broad south-pointing headland known as The Machars is formed largely of a strip of raised beach that offers little shelter for boats. 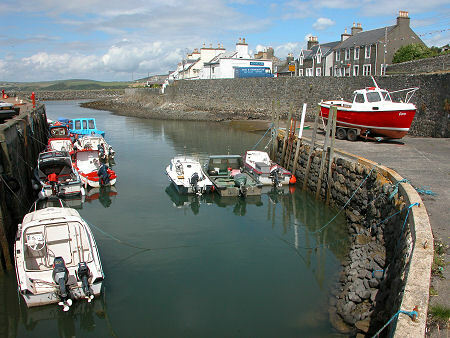 The exception is where the beach is cut by the valley of the Killantrae Burn, and here you find this coast's only harbour, Port William. The original settlement here was known as Killantrae. This Gaelic name translates as "The Church on the Beach" and probably reflects the existence here of a settlement (and a church) in the early days of Christianity in Scotland, probably not long after St Ninian's arrival in nearby Whithorn in the 390s. 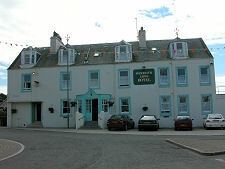 Killantrae was swept away following the intervention of developer and landlord Sir William Maxwell of Monreith. In the five years until 1776 he built an entirely new village here, complete with a good harbour. 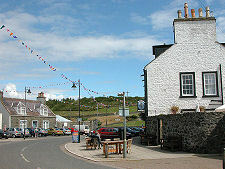 Killantrae became Port William. 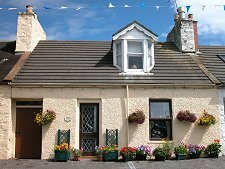 One of the earliest buildings still standing was the corn mill, located on the side of the burn to take advantage of the power provided by its water. The harbour was extended in 1790 and again in 1848, and it continued to have commercial importance until the end of the First World War. It then steadily became what you see today, a haven for small fishing and leisure craft. Further work was done to protect the harbour in the 1980s. In the 1600s and 1700s Port William was known as much for the illicit activities of its smugglers as for the legitimate trade of its port, and salt water continues to flow in the veins of those born and bred in the village. 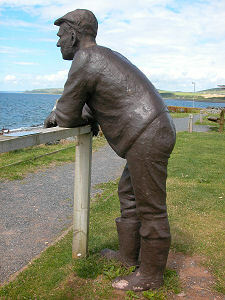 A more recent reflection of this seafaring heritage is found in the life-size fisherman's statue overlooking the harbour. This was once made of concrete, but following a public appeal it has been remade in bronze, and is now likely to outlast the rest of us. 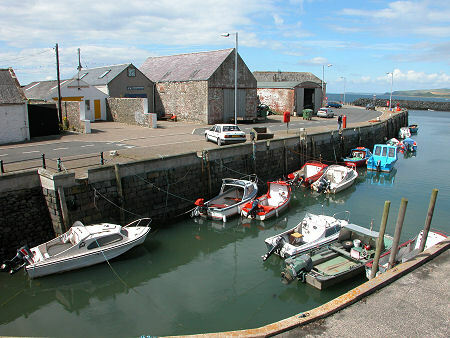 The layout of Port William is dictated largely by geography: the need to fit in between the shore and the rising ground immediately to the east. At its heart is The Square, just behind the harbour. The narrowness of Port William's site is emphasised by the way Maxwell Park, also named after Sir William Maxwell, climbs away from the east end of the square. 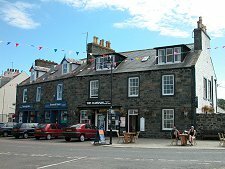 From The Square, Main Street heads north towards Glenluce; High Street east towards Whithorn; and South Street south along the coast towards Monreith en route, again, to Whithorn. 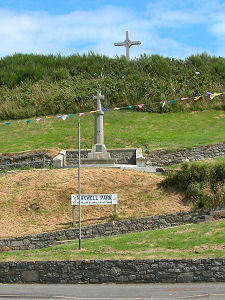 The area surrounding Port William is a treasure trove of ancient monuments, including Chapel Finian five miles to the north, the Drumtroddan Cup and Ring Markings and Drumtroddan Standing Stones two miles to the east, and Barsalloch Fort on a promontory above the shore a mile and a half to the south.